No age of the Catholic Church's history is without its share of confusion and corruption. Still, even in moments when disorder may seem overwhelming, individuals and movements eventually arise to propose the faith with clarity and demonstrate it in action. 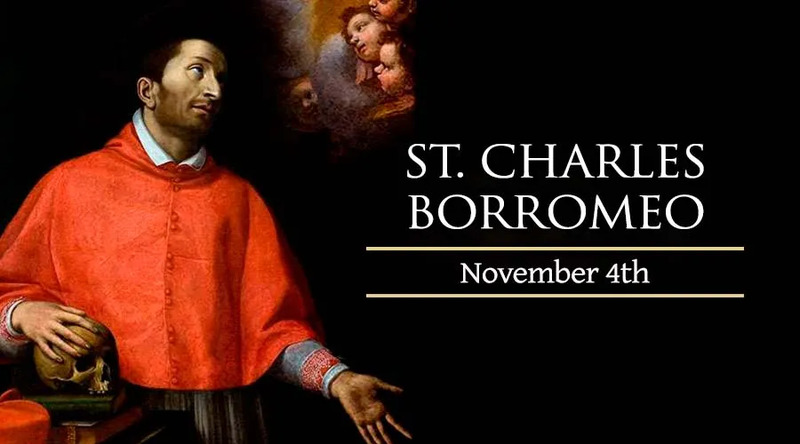 St. Charles Borromeo, a central figure in the Council of Trent, is remembered on November 4, as a model of such leadership in difficult times. The circumstances of Charles' birth, in 1538, could have easily allowed him to join the ranks of corrupt Renaissance-era clergy. He was born into luxury, the son of noble parents, with a guaranteed income comparable to modern “trust funds.” Early on, however, the young man signaled his intention to go against the cultural grain. He announced his desire to serve the Church with sincerity, asking his father to give away the majority of the fund's money to the poor. Charles could not escape a certain degree of wealth and prestige, which were expected due to his social class, but he insisted on using these forms of leverage to benefit the Church, rather than himself. When he was 22, his opportunity came: the young lawyer and canonist's uncle was elected as Pope Pius IV. Charles soon assumed staggering responsibilities, serving as a papal diplomat and supervisor of major religious orders. The young man relaxed from these tasks through literature and music, taking no interest in the temptations abounding in Rome during the late Renaissance. He considered renouncing even this temperate lifestyle, for the strict observance of a monastery-- but found himself more urgently needed in the work of concluding the Council of Trent. The Church's nineteenth Ecumenical Council had begun in late 1545, but experienced many delays. Its twofold mission was to clarify Catholic doctrine against Protestant objections, and reform the Church internally against many longstanding problems. As a papal representative, Charles participated in the council's conclusion in 1563, when he was only 25. He also played a leading role in assembling its comprehensive summary, the Roman Catechism (or Catechism of the Council of Trent). In reward for his labors, Charles received even greater responsibilities. Ordained a priest during the Council, he was named as archbishop and cardinal only months later. He found his diocese of Milan in a state of disintegration, after two generations of virtually no local administration or leadership. The new bishop got straight to work establishing schools, seminaries, and centers for religious life. His reforms of the diocese, in accordance with the decrees of the council, were dramatic and effective, so much so that a group of disgruntled monks attempted to kill him. His survival was called miraculous. The new archbishop's efforts for catechesis and the instruction of youth were especially fruitful, initiating the work of the Confraternity for Christian Doctrine and the first “Sunday School” classes. He also gave important pastoral attention to English Catholics who fled to Italy to escape new laws against the Catholic faith. St. Charles Borromeo's amazing diligence, frequent travel and ascetic living eventually took their toll. The once young prodigy of the Papal Court also died young at the age of 46 on November 3, 1584. He was canonized 26 years later, in 1610. He is the patron of catechists and catechumens.